MrJ and I were very lucky to get a loan of Alison’s car for a few days we used this opportunity to do a little more sightseeing in comfort. It was Friday I needed some items from the shops but before going shopping MrJ and I drove back down to Kitchener Drive at the Waterfront Precinct to take a look through the World War II Oil Storage Tunnels. What an interesting place to see. Going underground, inside the old tunnels in the dull light and damp conditions was a bit spooky but also a real treat and the aie temperature was a lot cooler underground. The old photos that lined the old steel wall reminded me of the photos that my dear old dad had collected from his WWII Darwin and Territory days. My dad served in the RAAF (Royal Australian Air Force) during that war, he did all of his war time in the Northern Territory helping to build and maintain the airfields and transport. He was in Darwin at the first bombing and in the Territory during consequent bombings sothese war photos and stories are of a special interest to me. The World War II Oil Storage Tunnels were built during WWII by the Civil Construction Corps beneath the cliffs of Darwin city. 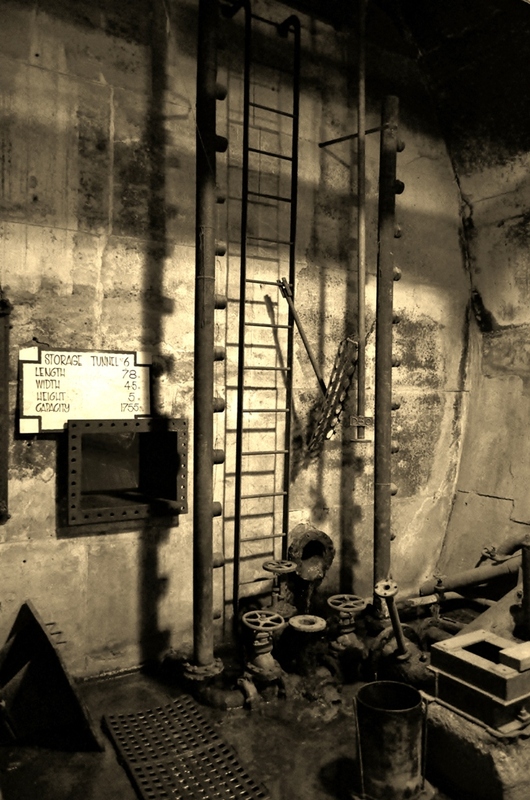 Following the bombing of the fuel oil storage tanks at Stokes Hill on 19 February 1942 in the first Japanese air raid, engineers began looking at British government designs for oil storage tanks in underground tunnels secure from aerial bombardment. 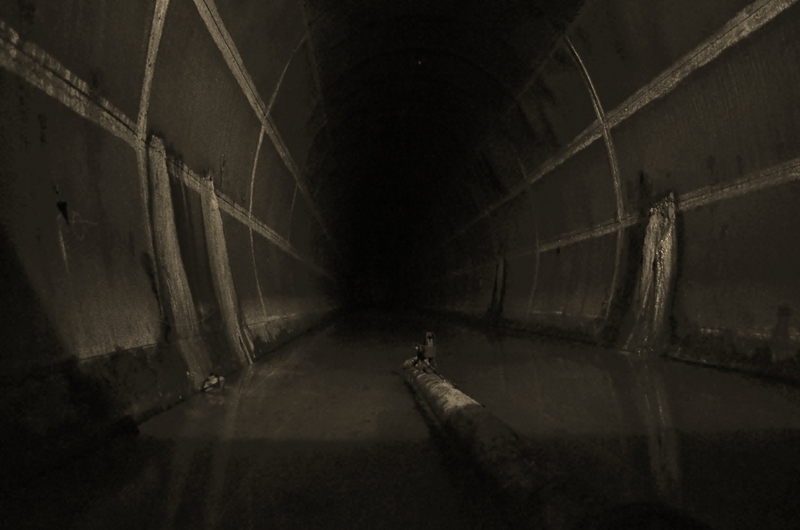 In 1943 contractors Johns and Waygood began work on a series of tunnels running under the escarpment. 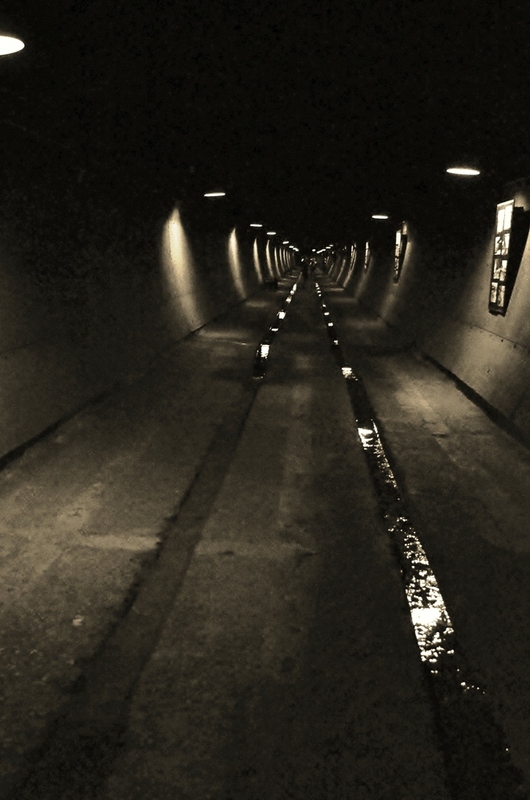 The tunnels were, on average, designed to be about 15m underground. 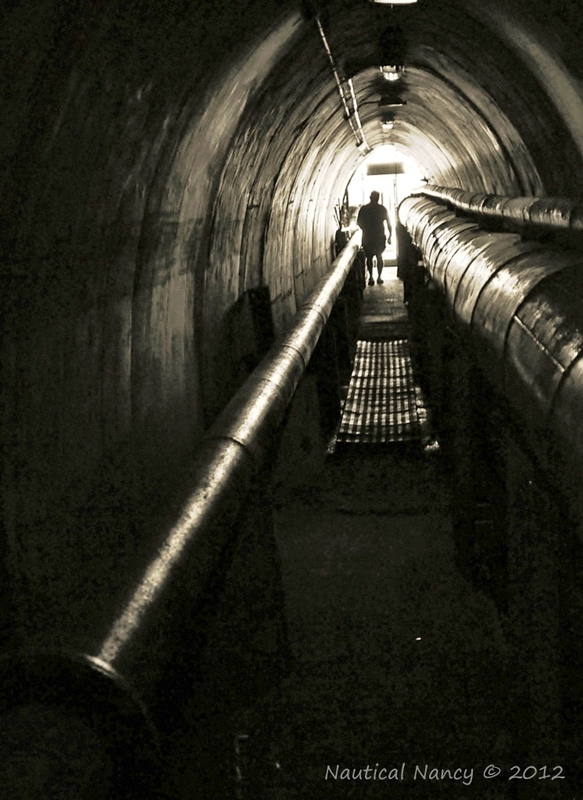 The longest tunnel, Tank 10, was nearly 200m long. Pipe headings connected the rear ends of the tunnels to an underground pumping station. The tanks were designed to hold distillate, diesel and furnace oil. A camp was set up nearby for about 40 workers but estimates of the total manpower required were as high as 400 men. Conditions were tough and contrary to their expectations the men were not paid above award wages or overtime. As a consequence industrial action slowed the construction pace. 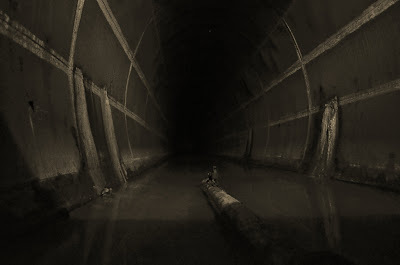 The tunnels were lined with concrete and thin steel to prevent cracking under bombardment creating a virtual tank within a tank. By November 1944 the tunnels that still exist today, 1, 5, 6, 10 and 11 had been lined with welded steel sheeting. Despite these precautions, it became apparent in 1945 that the tunnels leaked. 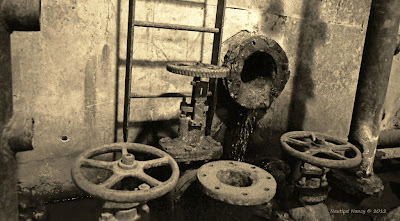 As water seeped between the steel lining and the concrete walls, corrosion set in. Various solutions were attempted but with little success. By the end of the war, estimated costs for the entire project, if completed, would have been well in excess of £1,000,000. 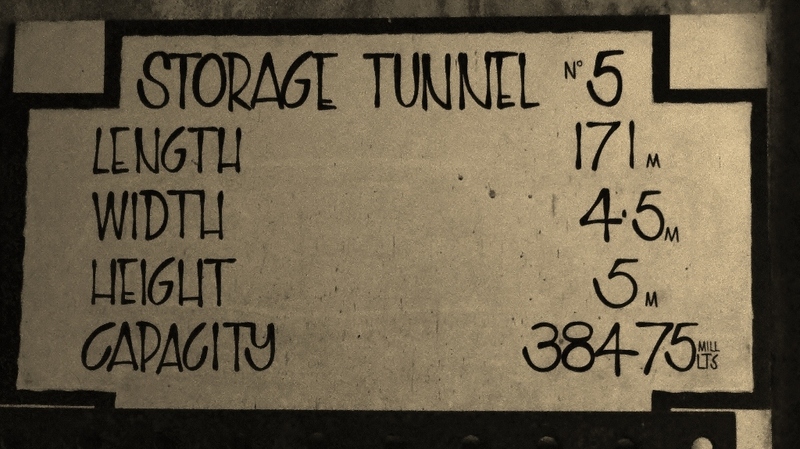 In the 1950s, tunnels 5 and 6 were used to store jet aircraft fuel for the RAF and RAAF. After about three years and a period of heavy rain the whole system became inoperable because of seepage and was not used again. 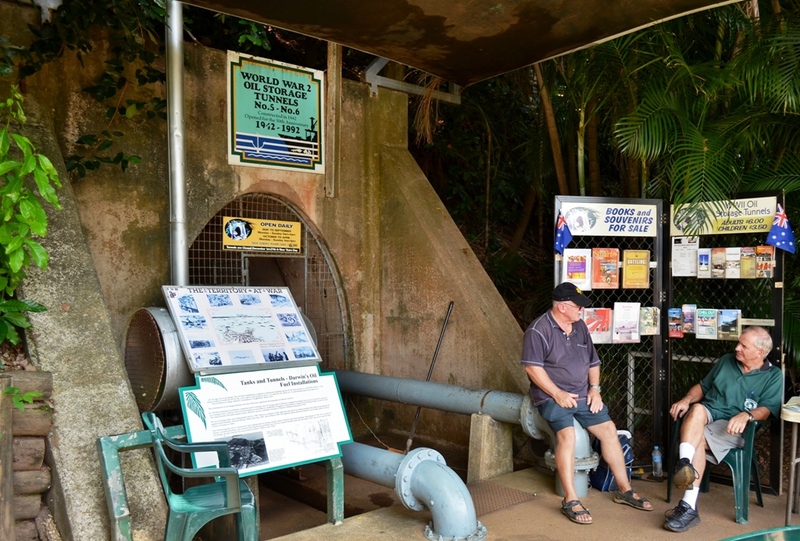 The World War II Tunnels were reopened in 1992 as a public place of interest to commemorate the 50th Anniversary of the Bombing of Darwin. SMPL is engaged in manufacturing Distribution Transformer tanks. We are manufacturer and Exporter of Transformer Tank, Steel Swimming Pools, Oil Storage Tanks, cricket Pitch Roller, Transformer Body.